What is the Best Pulse Oximeter to Buy? 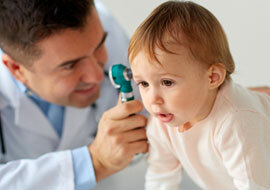 econd to your stethoscope, your pulse oximeter is likely the medical tool you use the most on a day-to-day basis. These small devices measure the proportion of oxygenated hemoglobin in the blood supply (SpO2) as well as the pulse, and are an essential part of some checkups. Like the stethoscope or otoscope, an oximeter offers a simple way to check the body’s vital signs and gives you a quick snapshot of the health of an individual. For these reasons, it’s important to invest in a high-quality, accurate pulse oximeter. As a nurse, doctor or caregiver, you already know why monitoring SpO2 is so important, but let’s do a quick recap. Pulse oximetry is key in almost any scenario where a condition affects the body’s blood oxygen levels, including heart attack, heart failure, sleep apnea, COPD, anemia, lung cancer, asthma and pneumonia. You may also need to monitor blood oxygen levels during physical activity or after surgery, to determine how well medication is working or if a ventilator is needed. So, how do they work? It’s actually pretty complex, but we’ll give you a quick rundown. These sensors pass two wavelengths of light (red and infrared light) through the body into a photodetector, which measures the changing absorbance at each wavelength. Deoxygenated hemoglobin absorbs more red light, while oxygenated hemoglobin absorbs more infrared light. In extremely simple terms, how much light is absorbed or passed through the hemoglobin indicates a person’s blood oxygen level. Most often, blood saturation levels are monitored via a clip-on sensor device (usually clipped onto the fingertip or earlobe), but more and more medical professionals are turning to wearable and handheld pulse oximeters. The handheld styles that were once limited to hospital use are now more accessible and affordable for doctor’s offices, clinics and individuals. Not every type of pulse oximeter is right for every scenario, though. Let’s take a look at the three most popular kinds to determine which one is best for your needs and budget. Finger Pulse Oximeters — The finger pulse oximeter is by far the most popular style, and it’s probably what you envision when you think of this kind of device. It features an alligator clip shape that’s usually attached to the finger or earlobe and features a screen on the top that displays SpO2 and pulse rate. Finger styles vary widely, from very basic styles that read SpO2 only to full-featured versions with LED displays. These oximeters are by far the most affordable, compact and simple oximeters out there. Wrist Pulse Oximeters — With the rise of all sorts of health and fitness bracelets, medical device manufacturers have begun to offer wrist pulse oximeters. These high-tech devices usually measure more than just blood oxygen saturation. For example, the BodiMetrics Sleep and Fitness Monitor measures SpO2 and pulse rate for the purpose of improving fitness performance and sleep quality. Most often, wearable pulse oximeters are considered personal or home use devices, but they may also be used in sleep studies, physical therapy, cardiac rehab and other scenarios where it makes more sense to wear an oximeter for a long period of time. Handheld Pulse Oximeters — Handheld styles are desirable in some situations where you want a clear, digital reading. Usually, they feature a built-in sensor (perfect for reading SpO2 through the thumb) and a larger LCD screen. These devices are becoming more and more popular in the medical realm because they offer many more features than standard pulse oximeters — no surprise, since they can cost several hundred dollars more — and may even replace some of your other medical devices. You’ll find styles that read SpO2, ECG, heart rate, blood pressure and even temperature in a single unit. If this is your first time shopping for pulse oximeters or if you have minimal experience with these devices, it’s important that you take some time to understand what makes a good one. For high-tech nurses, doctors and other medical professionals, integration with a smartphone app may be a necessity. For others, perhaps those with limited eyesight, readability may be an important factor. If you’ve ever dealt with a finicky or inaccurate pulse oximeter, you know why it’s so important to find the right one. Accuracy - According to the American Thoracic Society, oxygen level readings from all pulse oximeters are reasonably accurate, with most modern styles giving a reading within 2 percent of what would be recorded through a more accurate analysis (such as an arterial blood gas test). However, to ensure that you get the right reading every time, consider investing in a pulse oximeter that also features an accuracy indicator that alerts you when a reading is not accurate.. Compatibility - Another important thing to consider when shopping for pulse oximeters is how it connects to your other devices. Some of the more high-tech and full-featured styles are equipped with Bluetooth technology or sync to an app on your smartphone or computer. This helps you record larger sets of data and trends easily and accurately. If you decide to use a “smart” pulse oximeter, make sure to choose one that complies with all HIPPA regulations and stores data securely and privately. 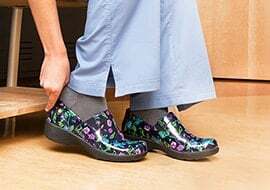 Convenience - If you’re like most of us, you probably just keep your oximeter in the pocket of your scrubs so that you have it when you need it. But there are some easy ways to ensure that you’re never without it. Many of the best pulse oximeters include carrying lanyards so you can hang them around your neck or wrist throughout the day. Other convenience features include automatic shut-off and long battery life. Safety Considerations - Some SpO2 readers are built with indicators or alerts that let the subject know that the reading may indicate dangerous blood oxygen levels. 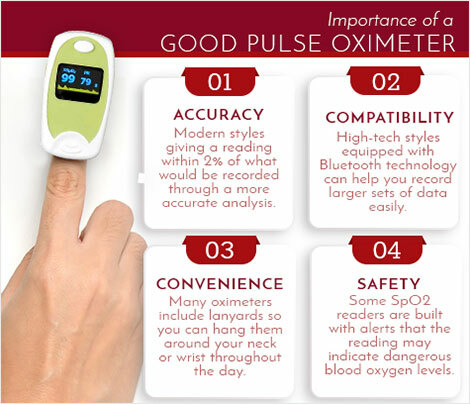 For medical professionals, it may not be necessary to choose an oximeter with these features. But if you’re looking for a good home-use style for someone who may not know what to look for in a reading, then it’s definitely a worthwhile consideration. With all of this being said, you still may not know exactly which specific pulse oximeter is most appropriate for your job duties or expectations. Nurses have different needs than respiratory therapists, and sleep specialists may benefit more from extra features than elderly caregivers. We’re happy to give you some suggestions for the best pulse oximeters out there based on your duties. Best Pulse Oximeter for Nurses — For most nurses, taking an oximetry reading during a routine checkup is, well, routine. Most nurses use these devices to read SpO2 and pulse on a day-to-day basis, so they need something durable and compact. 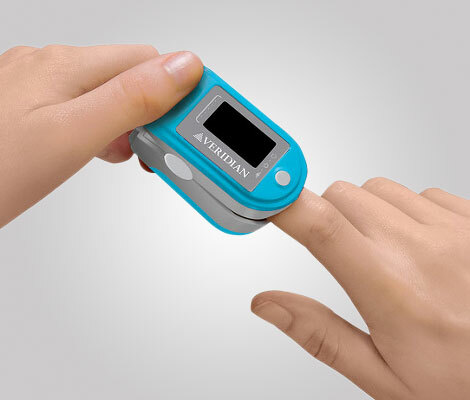 The Veridian Healthcare Premium Fingertip Pulse Oximeter is a top choice for nurses because it features a lanyard with a quick-release clasp (so that it’s always nearby when you need it the most) and features an integrated PC connection that monitors and stores data in real-time. Non-contact pulse oximeters (such as the Santa Medical Finger Pulse Oximeter) are recommended for nurses who work with contagious individuals, because they don’t require direct contact. 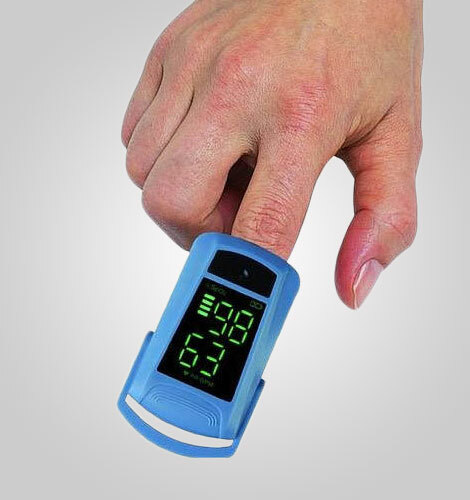 Finger oximeters are popular among nurses and caregivers because they’re so compact and portable. Best Pulse Oximeter for Respiratory Therapist — Respiratory therapists rely on the oximeter part of the pulse oximeter perhaps more than any other medical professional, and an accurate reading is key. Patients with COPD, asthma and other lung-related conditions must closely monitor if SpO2 is dropping. This means that respiratory therapists sometimes have to take quick readings during check-ups and also monitor SpO2 for longer periods of time, like when a patient is exercising or sleeping. For these situations, a wearable oximeter, such as the BodiMetrics Sleep and Fitness Monitor, is preferred. The rest of the time, a hand-held monitor like the BodiMetrics Performance Monitor is ideal for respiratory therapists because it shows other key metrics, such as breaths per minute. Best Pulse Oximeter for Pediatrics — Pediatric doctors and nurses shouldn’t use regular-sized oximeters when working with kids. That’s because little fingers may not fit properly into an adult device, resulting in a less accurate reading. So, you’ll want to choose a pulse oximeter made just for kids, like the Veridian Healthcare Pediatric Pulse Oximeter. This kid-friendly device is small enough so that it fits kid-sized fingers and earlobes, but also versatile enough to be used on your older patients, too. It’s also a bit more colorful and less intimidating than your standard version. Best Pulse Oximeter for Cardiac Rehab — Exercise physiologists and cardiac rehab therapists have a unique set of challenges on their hands: they often need to measure SpO2 and heart rate while a patient exercises or is otherwise active. Of course, if you need to monitor these vitals for more than, say, a few minutes, it doesn’t make sense to use a traditional finger-clip style for the job. In such instances, a wearable oximeter like the BodiMetrics Sleep and Fitness Monitor is best. 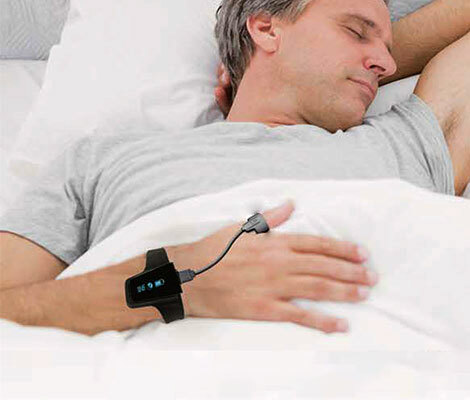 Best Pulse Oximeter for Sleep Studies — Sleep specialists have the same challenges as exercise physiologists when it comes to pulse oximetry. They must find a style that fits comfortably and securely on a wearer’s wrist for longer periods of time. SpO2 readings are especially important in sleep studies, especially when used as a diagnostic tool for sleep apnea, so finding the right style is essential to good patient care. We again recommend the BodiMetrics Sleep and Fitness Monitor for such purposes. This bracelet oximeter also features an adjustable vibration setting, which wakes a patient up if SpO2 levels fall below a certain threshold. Best Pulse Oximeter for Home Use — The key to finding the perfect home-use pulse oximeter is to look for styles that are easy to use, affordable and patient-centric. We recommend the Veridian Healthcare Smartheart Pulse Oximeter for such purposes. Ideal for individuals or caretakers who need to take SpO2 readings daily, this affordable oximeter features a large LCD display for easy reading and comes with a low battery indicator and other great features useful to those who need convenience and easy reading in a single device. With so many different pulse oximeters on the market, it can be somewhat difficult to know which one is best for your particular needs. But if you have a basic understanding of what to look for, then you’ll be well-equipped to find a style that feels tailor-made to you, your budget and your everyday job duties. We’re always here to help you find the right style for your unique needs, whether you need a cutting-edge smart oximeter with all the bells and whistles or something basic and affordable for at-home or clinical use.